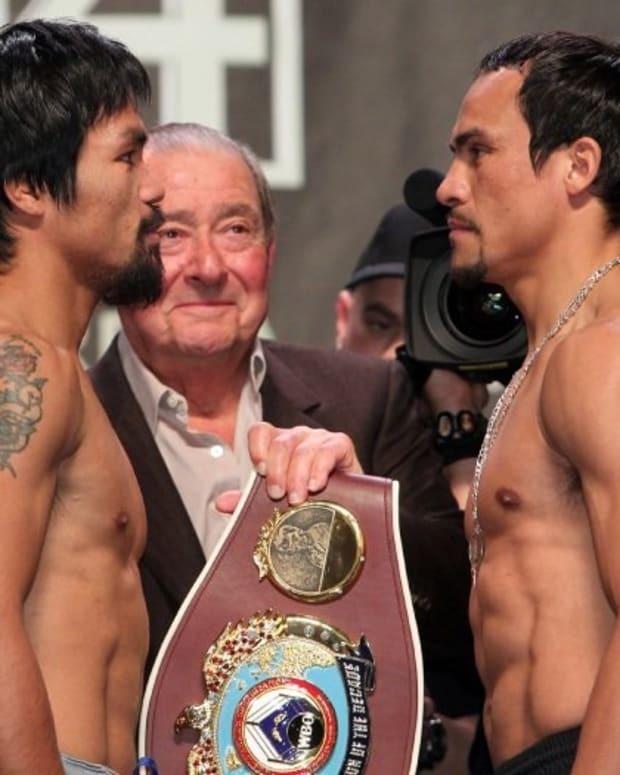 Bob Arum’s life may actually become a lot easier if Brandon Rios defeats Manny Pacquiao next month. In that case, if the Top Rank boss decides he wants to see his Filipino star fight again, despite Freddie Roach’s protests, then he’ll make that happen. If he doesn’t, Pacquiao will retire. 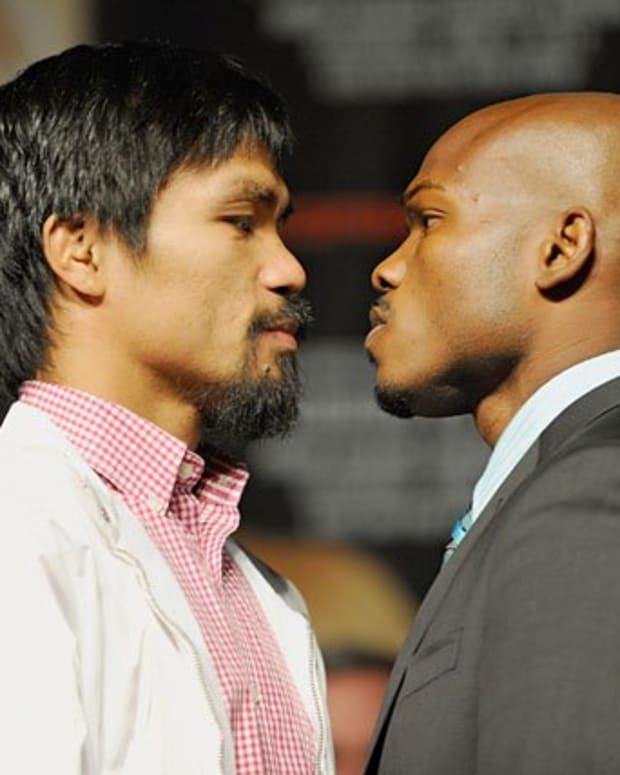 Either way, a Rios win makes way for an obvious next opponent: Timothy Bradley. However, if Pacquiao defeats Rios this November, which is the most likely scenario we’re looking at, then 2014 matchmaking is going to be a little more difficult for Arum. In order to fight Pacquiao, Rios passed on a lucrative third fight against Mike Alvarado. There is no way that, after back-to-back losses, Alvarado will still grant him a shot. Meanwhile, Pacquiao and Bradley have already fought once, to not-so-great results. 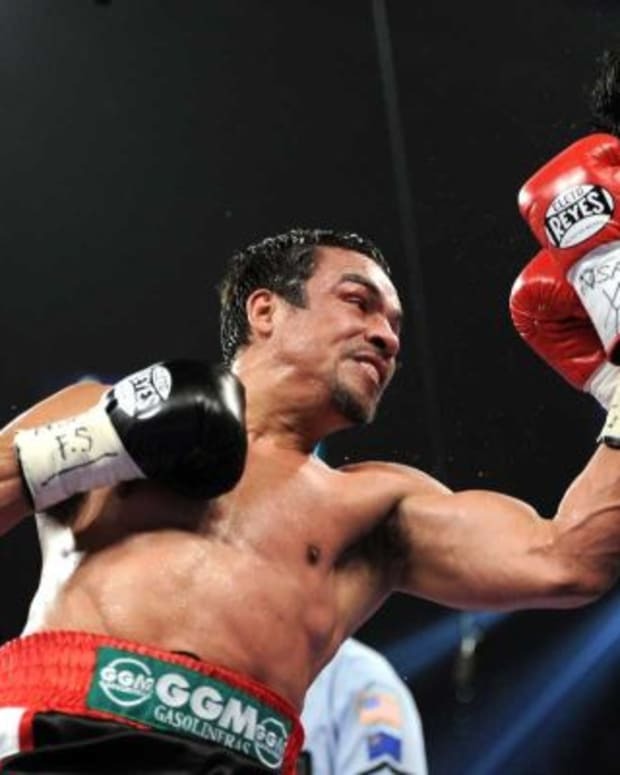 Their match was panned from an entertainment perspective, did unimpressive numbers (by Pacquiao’s standards), and produced one of the most controversial decisions of the last decade. 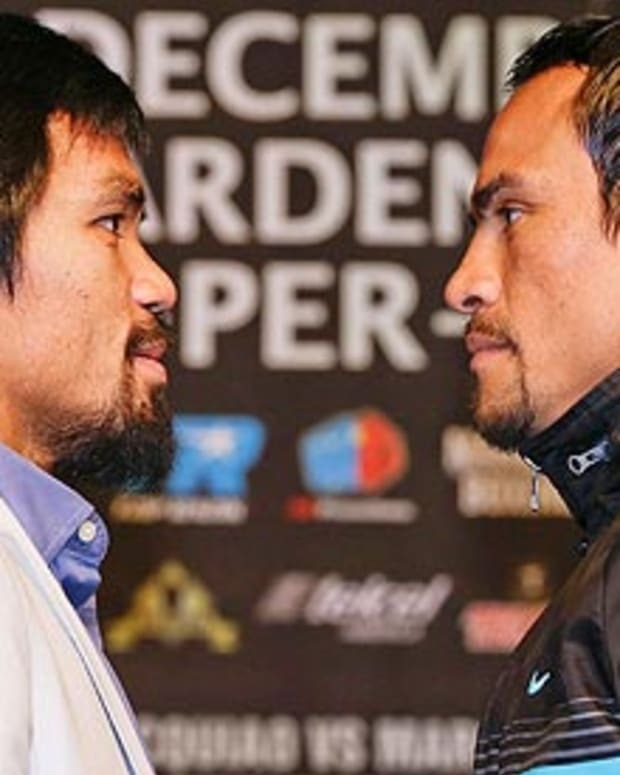 If Arum has his way, win or lose this November, Pacquiao will not fight Bradley next – he’ll fight Juan Manuel Marquez. Coming off his this weekend’s loss to Bradley, presumably Marquez has gotten his hunger back. After ducking a rematch against Pacquiao for the better part of a year, you have to figure that a clear, undisputable decision victory to Bradley will light a fire under the Mexican star. Sure, he did his usual sore loser routine after the fact, but Marquez didn’t become one of the best fighters of his generation by being stupid. He knows he lost to Bradley, even if his pride won’t let him admit it. It’s hard to say what should come next for Rios if he falls to Pacquiao. However, Pacquiao’s next move is clear: He needs to fight Marquez for a fifth time and avenge the most embarrassing blemish on his record. Marquez chased Pacquiao around the Philippines when he decided that he wanted to redeem himself. 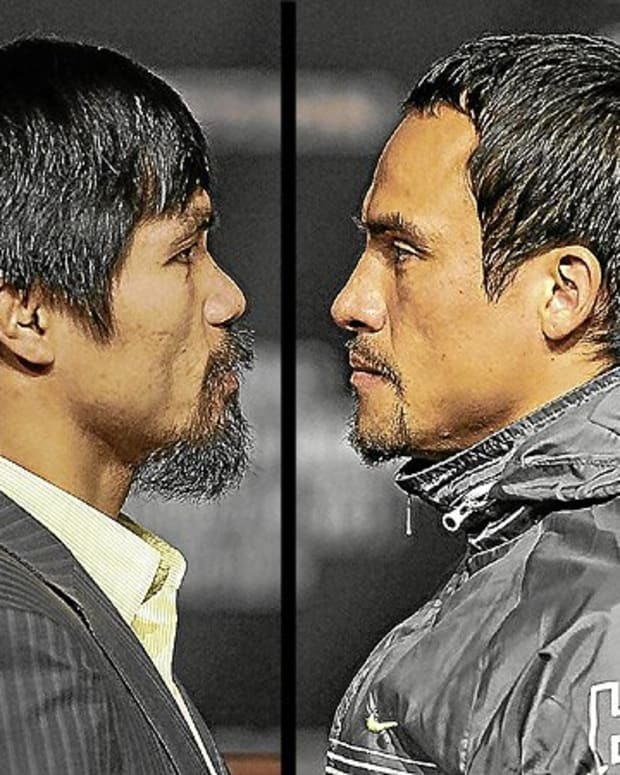 If Pacquiao gets past Rios, he needs to show the same sort enthusiasm in pursuing Marquez. 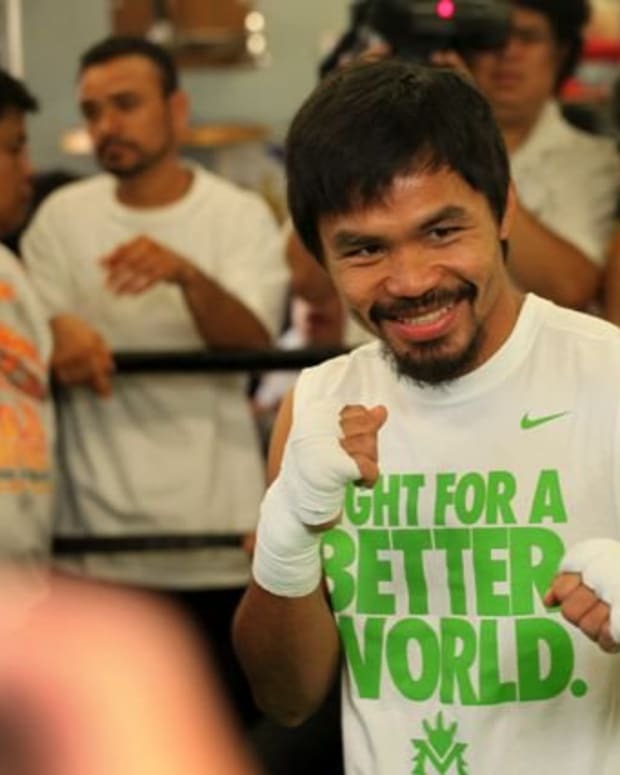 Manny Pacquiao, Juan Manuel Marquez to Fight Brandon Rios and Timothy Bradley?